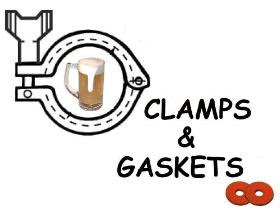 Clamps & Gaskets: News Roundup for Weeks 3/4, 2013. 'Craft' beer sales in the United States have doubled in past six years. Food and drink research firm, Mintel, predicts a tripling by 2017. Kim Jordan —CEO of New Belgium Brewing of Fort Collins, Colorado— announced as keynote speaker for 2013 Craft Brewers Conference, in Washington, D.C. Via Brewers Association. 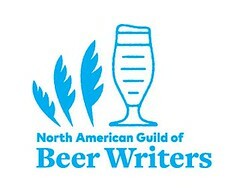 The Brewers Association releases An Introspective Audio History of the Brewers Association by 2012 Board of Directors and Staff. Beer was first released in cans —tin cans— today in 1935, in Richmond, Virginia. Via YFGF. Overall beer shipments were down in the United States in 2011 by 2.4% in 2011, while 'craft' beer sales were up by 12%. Via Los Angeles Times. "How beautifully simple." Boston Beer Company's modern recreation of New Albion, the first 'craft' beer produced in the United States, 1977-1983. Video via Boston Beer. Beer wholesalers, nationwide, generate more than $20 billion in taxes, add $54 billion to the GDP, and directly employ 130,000 people. Via Washington Business Journal. What the Constitution states (and doesn't) about Presidential inaugurations. Via. USConstitution.net. Legendary Washington, D.C. eatery, Ben's Chili Bowl, making 1,000 gallons of chili for President Barack Obama's 2nd inauguration. That and other statistics concerning the inauguration, via Huffington Post. Baseball Hall of Famer Stan 'the Man' Musial, played for St. Louis Cardinals, dies at age 92. Via Sports Illustrated. Baseball Hall of Fame manager, Earl Weaver of the Baltimore Orioles, dies, at age 82. Via ABCNews 7. Frosted glassware not the best choice for 'craft' beer, says Brewers Association. Video. The U.K. Supreme Court awards trademark rights to the "Budweiser' name to both global corporation Anheuser-Busch InBev and Czech brewery Budějovický Budvar. Via RealBeer. Japan has the largest number of whisky distilleries after Scotland and the United States. Exporting single malts to the United States. Via Serious Eats. New Belgium Brewing of Fort Collins, Colorado announces that it is 100% employee-owned. Via MarketWire. 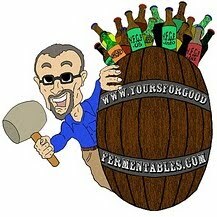 More small breweries in United States turning to mobile canning operations. Richmond Biz Sense reports on a Virginia operation. The science of beer color: carmelization vs. Meillard reactions. Via PopSci. The 20 most influential beers of all time? List via The Zythophile. Advance screening for "Beer Hunter: The Movie" announced for Washington, D.C., for 27 March 2013. The Boston Great Molasses Flood occurred today in 1919. Twenty-one died. Via BellaOnline.